It’s no secret that autobody repair shops need plenty of solid, quality equipment and tools in order to get through each day of shop work. Whether it’s a massive machine or the smallest of tools, it’s important that each piece is built to last, built to work–and worth the price. 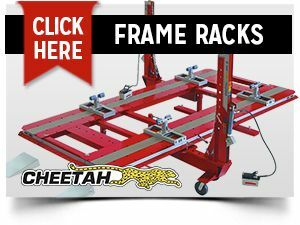 Of all the different machines and equipment used in an autobody shop, a frame machine is one of the most important. Frame machines are used constantly in order to hold cars, trucks and other automobiles. Without a frame machine, an autobody shop simply could not run. But what should you look for in a new frame machine? The following are 3 tips to help you find the best of the best for this type of auto body equipment. Unless you’ve got a massive shop, you can benefit greatly from a New frame machine that is designed with compactness and space saving in mind. Compact frame racks let you work just as efficiently as a non-compact design, all while saving all too precious floor space in your shop. You want your technicians to work as efficiency as possible–but if they’re using a frame rack that has a habit of taking a while to start up, stalls, or is simply slow, then they won’t be able to get as much work done as they could with a machine that is consistently fast. A faster model will allow you to get more work–and better work–done in your shop. Finally, don’t forget: compare pricing for the rack model you’re interested in purchasing to make sure you get the best price available.